Congratulations to Taiwan for beating Netherlands and got the second win of WBC! In Taiwan, if we talked about to beat Netherlands, we were always took out Koxinga who did beat Dutch colonists more than 300 years ago. In 1662, Koxinga drove Dutchmen away from Taiwan; more than 200 years after, Robert Swinhoe who was the naturalist made so much contributions about reporting Taiwanese animal species. He named a endemic rodent by the name of Koxinga, it's Coxing's White-Bellied Rat (Niviventer coninga). 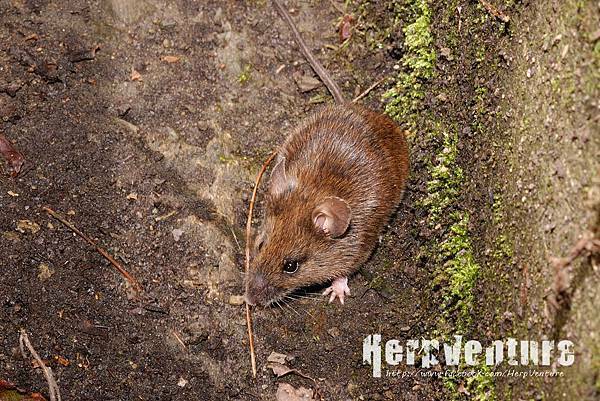 Coxing's White-Bellied Rat inhibit in the middle and low elevation forest of Taiwan, they connect upper and lower layers of the food web, a very important position in nature. Their hair mosaicked some hard hairs, it's a special touch among Taiwanese mammals!